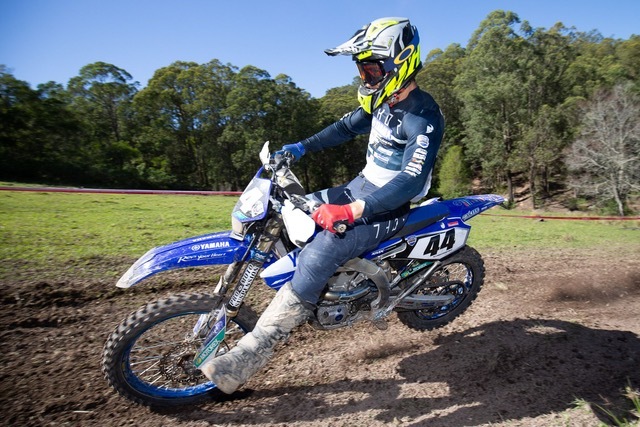 The Yamaha Mxstore Ballards Offroad Team headed to the picturesque countryside of Dungog, NSW for Rounds 3&4 of the Australian Offroad Championship over the weekend. 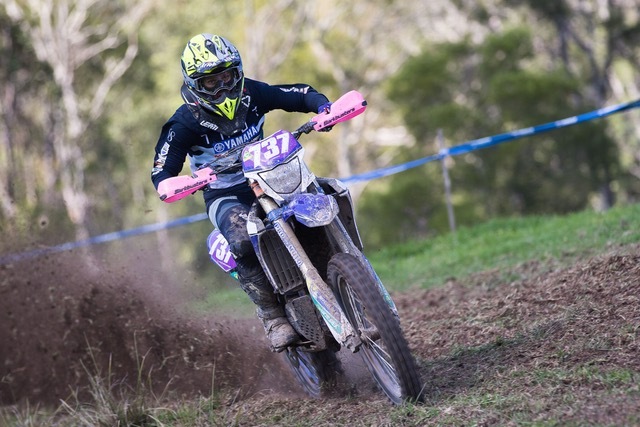 The AORC hosted by Dungog Motorcycle Club comprised of a true ‘Enduro” format over the weekend. Thereby competitors raced for approximately 6 hours per day from starting there bike in the morning to go racing. Where they race from point A to B to C etc with special tests in between the trial time. No outside assistance is allowed, meaning no help from mechanics or parents to work on the bike. Therefore the rider must not only be physically strong enough to complete the course, keep hydrated but also make sure their bike is checked over and maintained to complete the day without any issues. 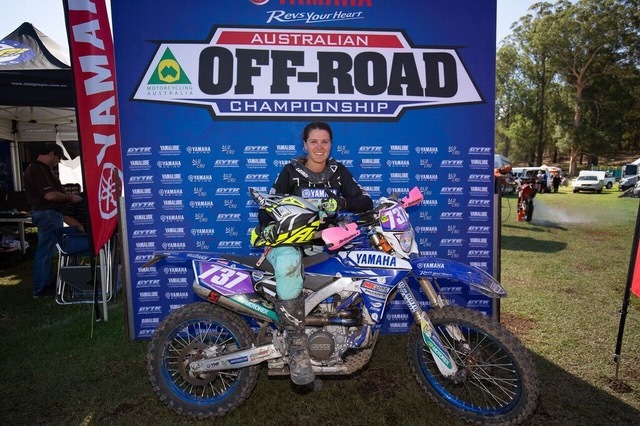 On Saturday at Rnd 3, Jess Gardiner had a great day winning 7 out of the 8 special tests in the Ladies class and finishing a rewarding 41st outright with the men overall. Gardiner had a minor issue after coming into close contact with a stump on the side of the track slightly bending the rear chain guide, although Jess spent no time at all fixing her bike back up and charging forward for the remainder of the day. For Jeremy Carpentier it was an eventful day to say the least. He started off with some good times and a couple of 5th outrights in tests, although unfortunately had a major crash unexpectedly getting out of shape in a rain rut in the trial time which ejected him off the bike. He escaped with minor bruises and scratches and pushed hard to continue the day on, with some big repairs to his bike due to the impact he spent some time in the control to repair it and managed to stay on his scheduled time, ending up with a 9th outright for Rnd 3 and just missing the podium for 4th in the E2 category. On Sunday for Rnd4 the course was to be repeated except with one lap less resulting in 6 total tests to complete for the day. 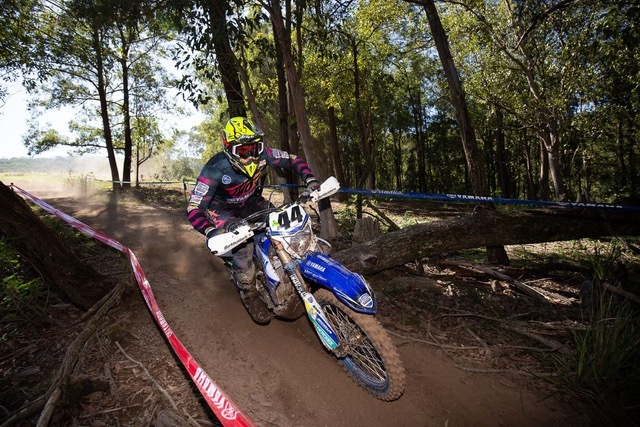 Starting fresh although on a rough course from Rnd3 and conditions starting to get slightly dusty forming deep ruts and tree roots shining out Gardiner attacked the day in full force by winning the first test and kept the ball rolling from there to secure a solid win and her 4th consecutive 1st place podium in the 2019 AORC season. 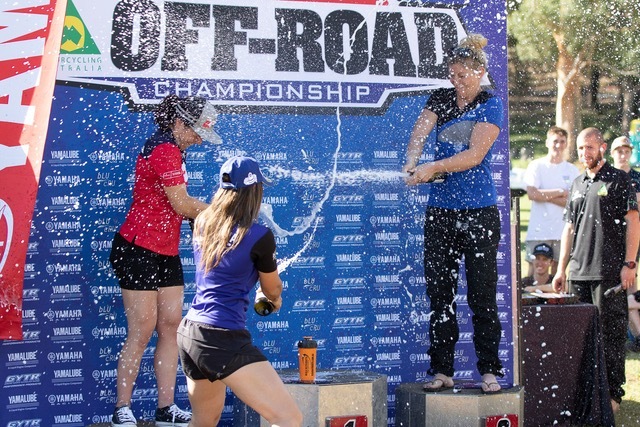 Emma Milesevic and Emelie Karlsson rounded out the podium for Rmd4. Gardiner expressed, ‘ it’s really great to start the season off strong and keep the momentum building. It’s also excellent to see so many young Juniors also asking for advice about the timecard formats and helping get the future generations prepared. My WR250F handled like a charm all weekend and I couldn’t be happier’. 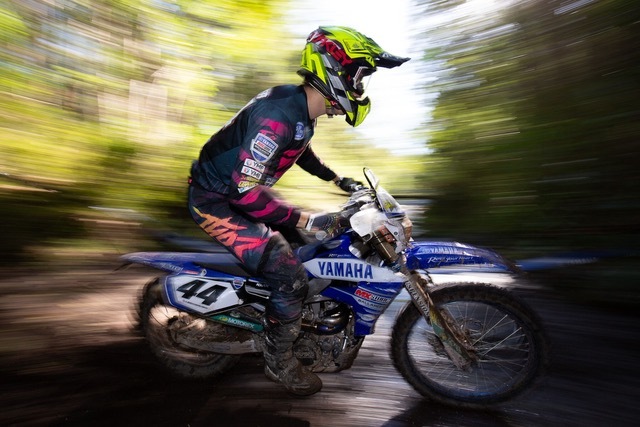 The Yamaha Mxstore Ballards Offroad Team will be at Dungog Showground on the 24th May for the NSW offroad championships round 7&8 with an EnduroX format, spectators are welcome and can see all the action from the arena.